The American Translators Association Board of unpaid Directors is meeting in Denver today and tomorrow. Jane Meier is a former president and current boardmember. The others can heave a sigh of relief that I won’t be in Denver. But I do have some concerns I will share with you, as suggested on the HITA maillist. By now it should be clear that letting the ASAE take over the ATA was a mistake. I recommend getting rid of their lawyers and all staff that are ASAE members, and to hire only half as many people to replace them. It should then be a simple matter to return our direct voting ballots—like all other NY non-profit corporations. Inviting self-righteous impostors and infiltrators in as voting members was as big a mistake. I suggest voting a deadline for their taking and passing an exam to earn entitlement to continue to meddle in policy (). I also favor getting rid of all the Continuing Extortion racketeering. The ATA website is practically useless. Portuguese is needlessly split 80/20 unlike any other language. Google Search “find a translator” and Abrates.org shows up in the first couple of pages, along with several local associations—even proz, Linked-in and whatnot—but not ATAnet. This is objective proof of GROSS dereliction or subtle sabotage—it doesn’t matter which. The goofy questionnaires, endlessly-looping gotcha capture challenges and screwy searches are befuddling to professionals who have been members for years. They amount to a Keep Out sign to potential clients searching to directly hire someone (someone verifiably holding credentials–rather than agency middlemen). The search engine results objectively demonstrate that today’s ATA is an association of, by and for the American Society of Association Executives and the agencies those worthies perceived as the key to their success in continue… symbiosis of sorts. I am asking you to champion as many of these changes as seem right to you and I’ll listen to your reasons for the ones that don’t. I am pleased to note that ALMOST all of the boardmembers are certified in at least one language pair. But that has in the past not been a reliable defense against the inveiglements of highly-trained and experienced professional predators. Those folks are nice, agreeable and persuasive, but we were better off without them before and I’ll bet we will be better off without them once they’re working some other neighborhood. There you have it. I’ll be posting this online just to make it difficult for the others to laugh off or ignore. 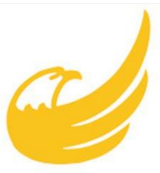 If you readers out there need a libertarian translator, now is your big chance. George Orwell may have coined the expression “death-worship.” In any case his use of it in “The Last Man In Europe”–working title for his novel “1984,” was the first I ever set eyes on. But it certainly wasn’t the last. In Oceania the prevailing philosophy is called Ingsoc, in Eurasia it is called Neo-Bolshevism, and in Eastasia it is called by a Chinese name usually translated as Death-Worship, but perhaps better rendered as Obliteration of the Self. … The new movements which appeared in the middle years of the century, Ingsoc in Oceania, Neo-Bolshevism in Eurasia, Death-Worship, as it is commonly called, in Eastasia, had the conscious aim of perpetuating unfreedom and inequality. … But the purpose of all of them was to arrest progress and freeze history at a chosen moment. Ayn Rand was Orwell’s junior by two years, and the world they observed was contemporaneous. He went to Spain to do battle with Christian fascism. Ayn’s family struggled against the starvation inevitably resulting from Bolshevik asset-forfeiture expropriation and laws against trade and production in Russia. She escaped to America. Both writers watched and described the exact same altruist dictatorships. Ayn Rand’s description of the Soviet as a continent-sized death camp in “We the Living” meshes perfectly with Markoosha Fisher’s “My Lives in Russia” in everything but spin and slant. Both Russian women agreed on the facts–the nouns–but interpreted their meaning with antithetical adjectives. Fisher produced pro-Soviet propaganda for a U.S. market eager to find some virtue in the International Socialist government with which America was then allied against Germany’s National Socialist Government. 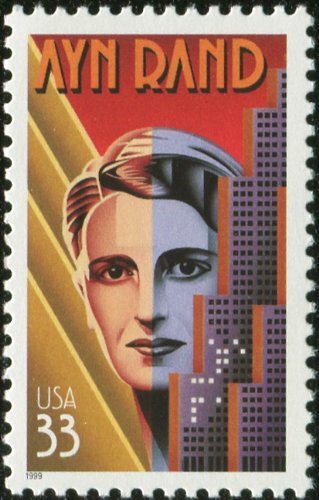 There is no shortage of critics who absolutely despise Ayn Rand–or her ideas. But not a single one of them can answer a simple question about what three normative statements make up the bulk of her teachings; nor do they mention what she considered as the standard of value for differentiating good from evil (which, like Mencken, she identified as right v. wrong). The citizen of Oceania is not allowed to know anything of the tenets of the other two philosophies, but he is taught to execrate them as barbarous outrages upon morality and common sense. Now you see where this is going. Herbert Hoover’s Moratorium on Brains, the Nuclear Freeze & Surrender and No Nukes movements, The New Left as Anti-Industrial precursors to today’s Econazi Global Warm-mongering movement. All of these manifestations of currish, fawning worship of totalitarian mass-murder régimes are nothing more or less than the worship of death none of Ayn Rand’s critics dare to identify. Yet an understanding of the causal connection with coercive totalitarianism absolutely required for the practice of altruism provides the key to comprehending today’s rioting looters and the popularity of the latest styles in Mohammedan suicide-vests. 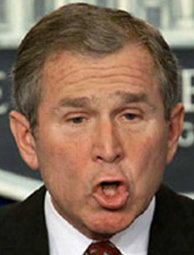 Their irrational appeals to settled science, their constant invocation of altruism, their contrivance of imaginary “problems” that admit of no solution other than totalitarian dictatorships–all of these policies can only arise out of blind commitment to the worship of death itself as the be-all and end-all touchstone standard of values in which the freedom to live your life is the evil thing that must be curtailed–as at Auschwitz. Sound farfetched? Here is a graph from a blog put up by another lady who is nobody’s fool. It too shows that the thing climate Cassandras are working toward is the heat death of the civilization that defeated looter kleptocracy in 1945 and 1992. So there you have it. Intellectuals of the looter persuasion hate the ideas of Ayn Rand yet cannot bring themselves to identify and confront them head on. Instead they zoom in on tangential irrelevancies and organize attacks on her personal self. See examples of this devious cowardice here, here, here and here. Both Ayn Rand and George Orwell and their readers are keenly interested in how millions could be brainwashed into the literal worship of death as the standard for their code of ethics. ** Yet sneering illiterati who claim to disagree, are eager to talk about anything but that! But to strike at the root of her philosophical teachings, they would have to identify their own values. Why not hit her where it hurts? Identify up front the ideas she actually espoused: that man must choose his values and actions by reason; that the individual has a right to exist for his own sake, neither sacrificing self to others nor others to self; and that no one has the right to seek values from others by physical force, or impose ideas on others by physical force. Those are the three main ideas, yet they might as well be invisible to wanabee non-aggression deniers. On these three points and these three points alone is there any real controversy about Ayn Rand’s ideas. A competently written rebuttal would at least attempt to show that each of these ideas is wrong, evil, socially dangerous. Anyone sweeping together a dustpan load of irrelevant cheap shots, personal attacks, and shopworn smears–will accomplish nothing in the way of shutting down power plants and setting up that socialist dictatorship. What will their fellow travelers think of such lack of zeal? ** Ethics is a code of values to guide our choices and actions. It relies on a fundamental standard, a compass that points toward eudaimonia, the good, and away from suffering and death, or evil. Should you ever need an interpreter able to see through the cant well enough to make out the underlying meaning, look me up. “I must stand on my constitutional rights and refuse to answer anything particular about that,” was Capone’s answer. Al was charged with contempt and a warrant issued the following day. Health problems as a pretext for avoiding the courtroom had been successfully invoked by Jew-baiting magnate Henry Ford just two years earlier, but the court extended no such privilege to young Al Capone. The market crashed with a record turnover of over 8 million shares on March 26, 1929. Wall Street sources reported that Chicago banks withdrew substantial sums from Wall Street to meet credit exigencies in the “Middle West.” This announcement would be repeated in even stranger circumstances by Herbert Hoover before the year was out. Wall Street Journal headlines on March 27 glumly described severe declines on the “largest volume of dealings ever known.” Time Magazine chimed right in, announcing “the biggest stock market crash in Coolidge-Hoover history.” Some of the cash movement had to do with income tax payments—which back then were due March 1—and some with quarterly government financing. Indeed, call money bounced back up to 14% at the close of March. News came in of increased opium trade in China precisely coinciding with a new wave of suppression there. Judge Winslow’s impeachment was gathering steam, with attorney Isidore Kresel scheduled to conduct an investigation beginning Monday. City Trust, Lancia motors and the late F.M. Ferrari were also back in the news over a disputed note, and George McManus—Rothstein murder “suspect”—was released on bail for want of a speedy trial. Again the Journal reported that there had been a “drastic movement of funds to Chicago to replace funds called in that City by local banks.” This pattern would repeat itself time and time again before 1933, yet remain a mystery to economists and financiers for the next seventy years. Just how much of the March panic was due the various forms of prohibition we may never know. We do know, however, that this record-volume stock market crash occurred well before the tariff debate had even begun and after no interest rate increases by the Fed. 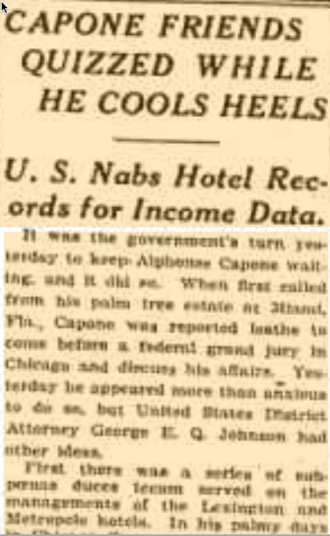 Yet as the crash occurred, vigilantes closed in on Chicago racketeers, Al Capone fidgeted before Judge Wilkerson in a Federal courtroom interested in his income tax records, banks were caught financing bootleggers, League of Nations narcotics statistics reports were falling due, corporate magnates were tried without publicity or fanfare in a Buffalo star chamber and the Chicago-bound trunkful of drugs case slowly expanded into a conspiracy involving failed banks and other corporations. A pattern was taking shape. Walter Strong, Publisher of the Chicago Daily News had visited President Hoover on March 19. Strong—together with Judge Frank Loesch of the Chicago Crime Commission—had given “chapter and verse for their statement that Chicago was in the hands of gangsters, that the police and magistrates were completely under their control, that the governor of the state was futile, that the Federal government was the only force by which the city’s ability to govern itself could be restored.” Thus spoke President Hoover, who at once gave orders that “all the Federal agencies at once concentrate upon Mr. Capone and his allies.” This was to be accomplished at once, without publicity and regardless of expense. Having thus ordered such Treasury agents as Eliot Ness and Elmer Irey unleashed upon Chicago’s shadow government, the President again turned his attention to the special session he’d been planning for Congress. If you had never heard of the March 1929 stock market crash, perhaps you have also never heard of court or financial interpreters for the Portuguese language. No cotidiano o cliente mostra o que está em pauta, pede orçamento, aprova proposta e sinal e o tradutor faz, entrega e as partes acertam o saldo. Mas com a importação de médicos formados pela ditadura da Cuba comunista–onde mesmo antes de 1959 já havia 3 vezes o número normal de médicos–acelerou-se a evasão de brasileiros formados em medicina. Para exercer a profissão na América do Norte, suas ementas e documentos devem ser traduzidos e avaliados. O perigo é que algumas dessas agências avaliadoras de credenciais são gatekeepers (cuja função é excluir concorrentes estrangeiros) ou monopolistas (que fazem in-house as traduções por um adicional barato, mas bloqueiam ou atrapalham as traduções dos autônomos mediante mecanismos coercitivos). 1. A escola deve nos mandar sua matéria curricular diretamente, “para preparativos”. 2. Oferecemos vantagens às entidades que recomendam exclusivamente a nós. A primeira às vezes resulta em a agência preparar um PDF criptografado (que não permite OCR) com identificadores no pé de cada página. Assim fica difícil converter em texto eletrônico e usar ferramentas CAT. A segunda (2) já acena com o perigo de eles fecharem a concorrência por implicância com bobagens insignificantes. 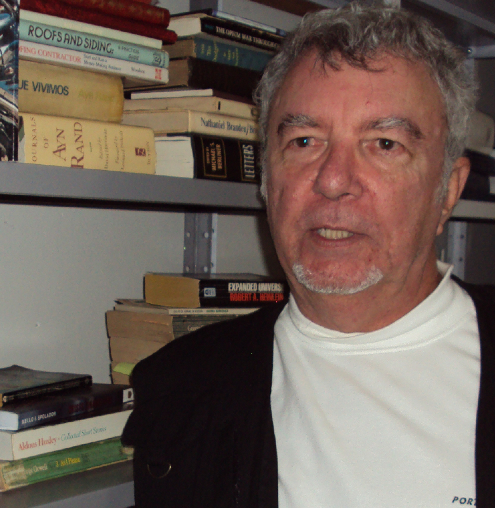 Já vi uma reclamar de um carimbo evidentemente idêntico em cada folha mas faltando algum detalhe em umas ou outras (tipo metade do CEP) pela posição do contato ou falta de tinta no carimbo. O monopolista vê toda concorrência como usurpação. A terceira (3) é especificação que o mercado identifica como defeito. A literalidade é característica de “tradução” sobremaneira malfeita–de palavras em vez de conceitos e expressões–por principiante sem noção. Essa especificação eu interpreto como um aviso em vermelho com imagem de caveira. Como se proteger? Leia as instruções e especificações desses serviços (plural) de avaliação antes de escolher. Caso contrário, há risco de mandar traduzir (e pagar) duas vezes o mesmo documento. Pergunte ao tradutor se esse garante que o documento será aceito. Money-back guarantee é muito comum nos EUA. Afinal, se a tradução é rejeitada o tradutor deve consertar a situação, devolver o dinheiro, corrigir e re-enviar ou trabalhar com outro tradutor que possua as credenciais necessárias para conseguir sua aceitação pelo órgão relevante. Procure outras pessoas que passaram por situação semelhante para ver se oferecem indicações. Para economizar dinheiro não ofereça traduzir o documento. A tradução para nós é fácil, mas específica. Já, se vc produzir ou contratar perito em conversão de PDF para fazer uma versão que inclui todas as informações do original, formatados tal e qual em formato de processador de textos tipo Open Office, isso facilita a vida do tradutor e pode resultar em desconto. Tem recomendações para facilitar a vida dos retirantes em busca de melhorias? Escreva. Navios de guerra disparavam caminhões na baía de Guanabara no ano 1893, marcada por uma crise econômica global. Uma parte desta crise emanava das políticas monetárias adotadas nos EUA. Mas o que mais afetou o resto do mundo foi a falência do projeto francês para construir o Canal do Panamá. Estas obras desde 1889 vinham falhando por causa de mosquitos, sobretudo o Aedes aegypti, mas ninguém sabia disso. Os magnatas americanos fizeram charme, fingindo estar ocupados com planos para fazer um canal na Nicarágua. Mas quando a bancarrota atingiu níveis de desespero nacional para a França, os americanos adquiriram os direitos àquele canal falido a preço de banana. Logo caíram na mesma armadilha. A salvação do projeto e da economia do país foi a falta de respeito com a qual os americanos encaram a autoridade. Um soldado americano derrubou um tenentezinho com um soco na cara. O oficial metido foi para o pronto-socorro e o soldado bruto foi metido em cana sozinho. Duas ou três semanas depois o soldado adoeceu com a febre amarela. O médico encarregado concluiu que só poderia ter sido transmitido por um mosquito, pois nada maior do que isso entrava ou saía daquela cadeia. Os outros médicos–áulicos da mesma laia que hoje aconselha os políticos sobre a proibição de arbustos e afins–insistia na crendice popular de que a febre amarela seria transmitida por ruas mal-varridas. Quando o presidente T. Roosevelt descobriu que o seu projeto de canal–a menina dos seus olhos–estava sendo ameaçado por mosquitos, tudo mudou de figura. Os americanos instalaram encanamento hidráulico por toda a região. Inspetores iam de casa em casa multando quem permitisse a reprodução de mosquitos em águas paradas. Todas as janelas recebiam telas e pintava-se uma larga listra negra horizontal no exterior de vários imóveis para atrair insetos voadores. Os bichos que apareciam ali para comer os insetos foram criados e soltados em grandes números por toda a região enquanto laboratórios pesquisavam vacinas. As crianças na Zona do Canal do Panamá toda noite colocavam tigelinhas de água limpa em volta das casas. 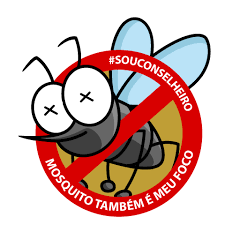 No dia seguinte despejavam essa água na calçada quente para matar os ovos que os mosquitos botavam na água, e armavam de novo essas armadilhas de água limpa. Até 1906 a febre amarela foi conquistada e a malária bastante reduzida. O canal abriu em 1914. No Brasil a situação é diferente. Os turistas estão evitando o país por quê? Por que um bando de saqueadores entocado em 33 partidos comunistas, fascistas e proibicionistas manda pendurar cartazes avisando as pessoas a “lavarem” a tigela de água do cachorrinho. Isso eles chamam de combate à epidemia. Ao mesmo tempo ameaçam de prisão os médicos que atendem as necessidades de profilaxia contra a gravidez das mulheres vitimadas por essas doenças — doenças que a reza do Vaticano não cura. Quer mais prova de descaso? Pois veja AQUI o relato da Wikipédia sobre o combate às doenças feita pelos materialistas científicos que, segundo o altruísmo, só pensam em ganância e desprezam a vida humana. Pergunte se na coluna da esquerda aparece algum link para versão desta reportagem em português? Não. ISSO é descaso. Quer ver o que é valorizado pelos 33 partidos não-libertários? Procura no Wikipedia em inglês a palavra Communism. Experimente fazer uma busca por Operation Car Wash ou Martin Luther/Adolf Hitler, Stalin ou Mussolini e rapidinho pipoca tudo aquilo lincado à matéria em português. Busque Anti-abortion movements ou qualquer uma da inúmeras superstições proibicionistas circuladas pelo monroismo americano e no mesmo ato aparece link em português. Mas quem busca em português os métodos de William Crawford Gorgas que se provaram eficazes em combater as doenças transmitidas por mosquitos–métodos que possibilitaram a construção do Canal do Panamá não acha tradução. The key to political campaigns is in the definition of winning. Suppose someone wanted his son shot and jailed, home confiscated, unemployment up, and all markets crashed, you’d suggest he vote Republican. Same solution if they were to want a daughter to bleed to death because of medieval approaches to accidental pregnancy. To Republican, Christian National Socialist and Islamic State legislators that’s winning–provided their candidate also gets the government job. Communists and lay socialists on the other hand prefer to forego the government job but force the kleptocracy to change the laws in response to the pressure of their spoiler votes. It’s kind of like a “sacrifice” move in a chess game, in exchange for gaining tactical or positional compensation farther along. So if their platform planks seem “extreme” (meaning consistent with their ideology), that’s not a problem. Spoiler votes will gradually make those positions seem wearily centrist. That’s the strategy that enacted the 16th and 18th Amendments. When socialist parties lose, it’s because (their cheerleaders feel) that particular unverifiable secret ballot election was rigged. Deep down you know this is true–or at least unfalsifiable–so the tendency is to feel a twinge of sympathy for the raw deal they got. But it’s not just ordinary socialists. Christian National Socialists, Islamic Mohammedans and devout altruistic Communists all want essentially the same thing: decisions imposed at gunpoint by the better people who know what’s good for the riff-raff. Of course they have surrogates. 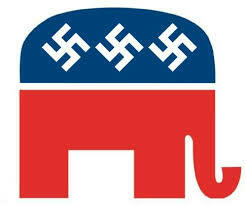 National Socialists of Third Reich Christian persuasions have since 1932 been the hand inside the Republican party sockpuppet. 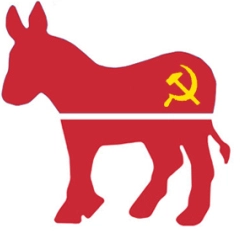 International Socialists of the East German Communist variety have lately pulled the strings that move the arms and mouths of Democratic Party spokesmen. One can’t think independently and still have faith in altruism. But suppose a voter wants freedom? That is, not the initiation of force, but rather, voluntary cooperation? Suppose you want the Marxist personal income tax abolished, its collectors disarmed and returned to the productive labor market? What about those who want to eat, drink and smoke what they prefer–people to whom winning means becoming the masters of their own financial decisions? In that case, the recommendation can only be to vote for the LP platform Gary Johnson is standing on. It is easy to verify that, as in 1892 or 1908, each third-party spoiler vote has way more law changing power than a vote wasted on shape-shifting actors fronting for soft machines. Dry Christian Progressives backing small parties in the 1890s paved the way for Prohibition making light beer a felony. Likewise, dry Christian Socialists paved the way for Soviet Communism in Russia, National Socialism in Germany, and transfer payments to non-producers elsewhere. Yet all their parties–Greenback, Farmer-labor, Anti-monopoly, Socialist, Socialist labor, Prohibition, LOST by their candidates getting less than half the electoral vote. However, they eventually won what they wanted by changing the laws, whether through enactment, court decisions, or repeal. I’d wager that even if Gary Johnson were to receive 60% of the votes, a way would be found to defraud the election. But the fright would nevertheless cause the looters to abolish a mess of bad laws–which is what I really want. THAT’s winning. Consider making a Paypal donation at LP.org I absolutely guarantee your donation will change 600% to 3600% as many words in laws as it would if wasted on either of the Kleptocracy soft machines. Specified agency heads shall, in coordination with the White House Office of Faith-Based and Community Initiatives (White House OFBCI), review and evaluate existing policies that have implications for faith-based and community organizations in order to assess the consistency of such policies with the fundamental principles and policymaking criteria articulated in section 2 of this order. So who are we talking about in this Executive Order, issued amid total financial collapse? Sec. 8. Functions of Heads of Departments Concerned and Additional Functions of the Director of National Intelligence. (a) To the extent permitted by law, the DNI and the heads of departments concerned shall provide such information and assistance as the PIAB and the IOB may need to perform functions under this order. (iii) ensure that departments concerned comply with instructions issued by the DNI under subsection 7(a)(ii) of this order. (c) The head of a department concerned who does not implement a recommendation to that head of department from the PIAB under subsection 4(b) of this order or from the IOB under subsections 6(c) or 6(d) of this order shall promptly report through the DNI to the Board that made the recommendation, or to the President, the reasons for not implementing the recommendation. (d) The DNI shall ensure that the Director of the Central Intelligence Agency performs the functions with respect to the Central Intelligence Agency under this order that a head of a department concerned performs with respect to organizations within the intelligence community that are part of that department. Sec. 9. References and Transition. (a) References in Executive Orders other than this order, or in any other presidential guidance, to the “President’s Foreign Intelligence Advisory Board” shall be deemed to be references to the President’s Intelligence Advisory Board established by this order. (b) Individuals who are members of the President’s Foreign Intelligence Advisory Board under Executive Order 12863 of September 13, 1993, as amended, immediately prior to the signing of this order shall be members of the President’s Intelligence Advisory Board immediately upon the signing of this order, to serve as such consistent with this order until the date that is 15 months following the date of this order. (c) Individuals who are members of the Intelligence Oversight Board under Executive Order 12863 immediately prior to the signing of this order shall be members of the Intelligence Oversight Board under this order, to serve as such consistent with this order until the date that is 15 months following the date of this order. (d) The individual serving as Executive Director of the President’s Foreign Intelligence Advisory Board immediately prior to the signing of this order shall serve as the Executive Director of the PIAB until such person resigns, dies, or is removed, or upon appointment of a successor under this order and shall serve as the Executive Director of the IOB until an Executive Director of the IOB is appointed or designated under this order. Um… wasn’t Gary Johnson, the Libertarian Party candidate, a fiscally responsible elected official for two terms as governor of New Mexico? 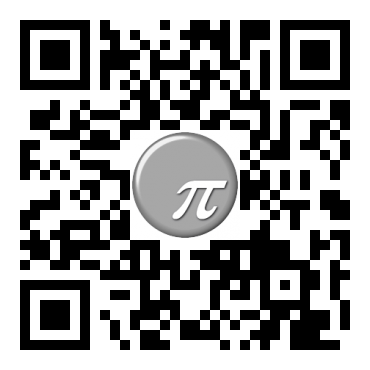 Do you ever need translations of political directives, bills, laws, dockets, platforms, indictments and decisions?